Coronita's are absolutely amazing, especially if you love Corona and Margaritas. Coronita Bottle Holders - These make your life a lot easier when you are making "the Mexican Bulldog" version of the drink. 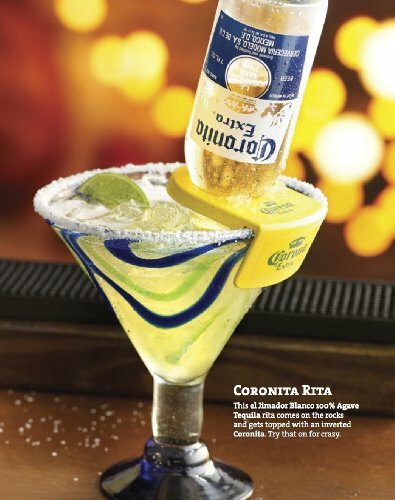 Coronita Glasses - A standard margarita glass should work for you. 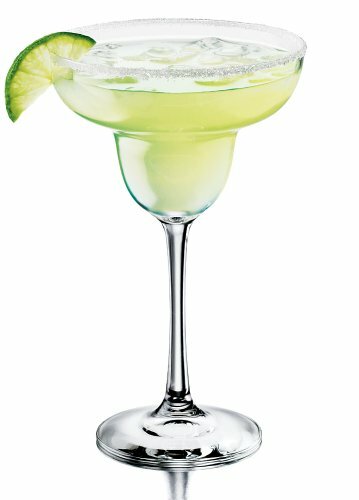 Margarita Glass Rimmer - The perfect way to get the salt around the rim of your glass! Do you know what a Corona Margarita is? This is a special mixed drink which basically what it sounds like - if you’re a fan of both margaritas and Corona beer, you must try this! It’s a unique and interesting twist on the famous Mexican cocktail that we all know and love. And guess what - it's really not that hard to make. I will also explain below what "The Mexican Bulldog" is. Odds are you will run out and try one today. Do you want a beer? Or do you want tequila? Did you know that you can have both! Here’s what you will need to make the perfect Coronita on the rocks. - One 12 ounce can of lemon-line soda such as Sprite. - 2 shots or one ounce of tequila (your choice). - 1 bottle of regular Corona. - 1 Lime cut into wedges. Add the frozen lime concentrate with the tequila and corona into a pitcher. Mix the ingredients well until they blend or use a blender, and add then add the ice and the lime. Want to make at home? Best Coronita Drinking Glass – Check out this glass below, which has a 13-ounce capacity and should be perfect for this drink. Have you ever heard of this version? It's the same drink really but this one has an upside down Corona bottle inside of the glass. It’s pretty awesome but can be challenging for beginners to make. The Corona beer shouldn’t come out all at once and needs to stay in the glass. The beer is supposed to come out slowly as your Margarita goes down. Somehow it doesn't all spill out at once as you place the Corona to the bottom of your glass. You can have it on the rocks or frozen. - One large fish bowl glass or large margarita glass. Mix the tequila and margarita mix into the glass, put the salt on the rim beforehand if you want it. Then take the bottle of Corona and flip it upside down into the glass fast. Then you need to put straws in the drink and sip it down as the beer spills out. If you are afraid it might come out fast, ask a friend to help you drink it. You lift the beer up a little bit as you drink. To make your life a lot easier, check out this bottle holder. Check out this awesome video below which will show you how to make one of these frozen. This recipe also has the ingredients of syrup, an orange and grand marnier added. Thanks for reading this article on what a Coronita or Mexican Bulldog is and how to make them! I hoped you liked the recipes. Now go out and make one - and enjoy it!